I am a member of the ARRL. It is a great organization and a great value for membership. I pay ten to fifteen times the dues to my medical organizations. The League provides the best value of any organization I belong to. I cannot thank the staff in Newington enough for all that they do. I belong to the TCDXA, one of the permiere DX clubs in the USA. It is a great group of hams who help one another build stations, learn the skills of DXing and become better operators. http://www.tcdxa.org/ is the web site. Check out the newsletter Grayline http://www.tcdxa.org/newsletter.html#newsletter . I am a proud member of this organization dedicated to Dxing. Ron Lowrance has organized a nice group of hams who are serious about the hobby. I joined the QCWA after 34 years of hamming. I guess I am an old-timer now. I am an honorary member of the Beijing club. This is a first class group of operators who are serious about Radio Sport contesting and are ambassadors of amateur radio. It was a privilege to visit them in May 2007. I subscribe regularly to these magazines, newsletters and websites. 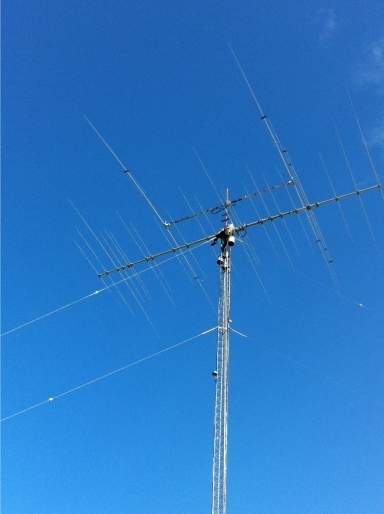 They are the most helpful sources of information and are great values in the amateur radio community.